Before you can use a Windows program on your laptop, you have to start it (launch the program). Windows provides several ways to start programs; choose the method you like best. 1To start a program using the Start menu, choose Start→All Programs. 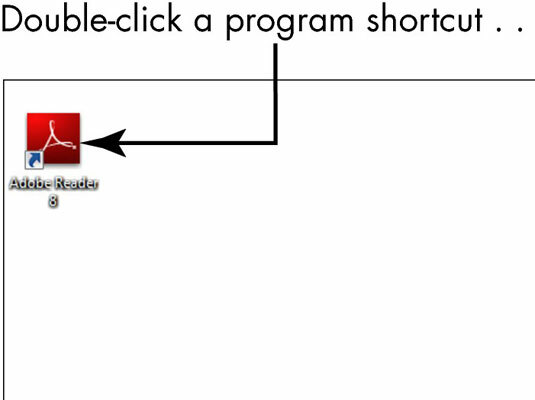 The All Programs list appears; click a folder to open it (if needed), then click the program name to start that program. 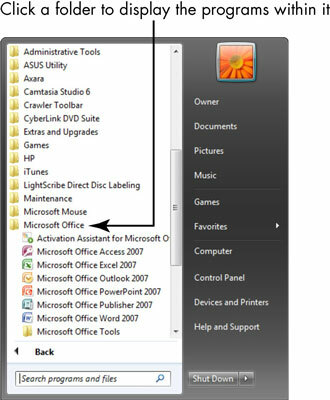 If you used the program recently and saved a document, choose it from the list of recently used programs displayed when you first open the Start menu. 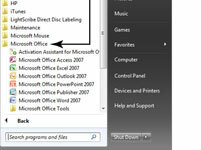 Then click a document created in that program from the list that displays. 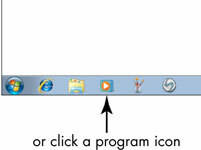 2To start a program from the desktop, double-click that program's shortcut icon. 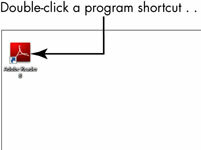 To add a program as a desktop shortcut, right-click the program name in the Windows Start menu and choose Send To→Desktop (Create Shortcut) from the menu that appears. 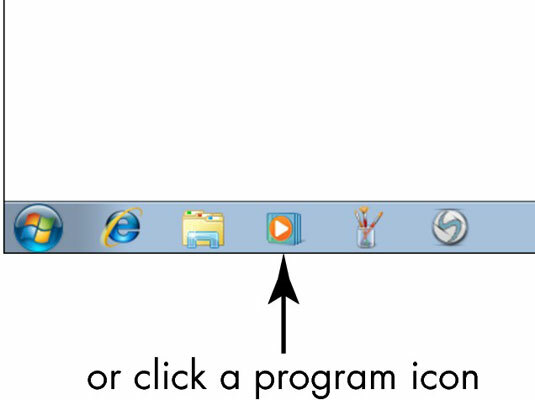 3To start a program from the taskbar, click its icon in the Frequently Launched Program area. The taskbar should display by default; if it doesn’t, press the Windows key (on your keyboard) to display it.